keep a ____ extinguisher nearby. tie back long ____ and avoid wearing loose clothing to avoid catching on fire. what appliance did we use for milk shakes? 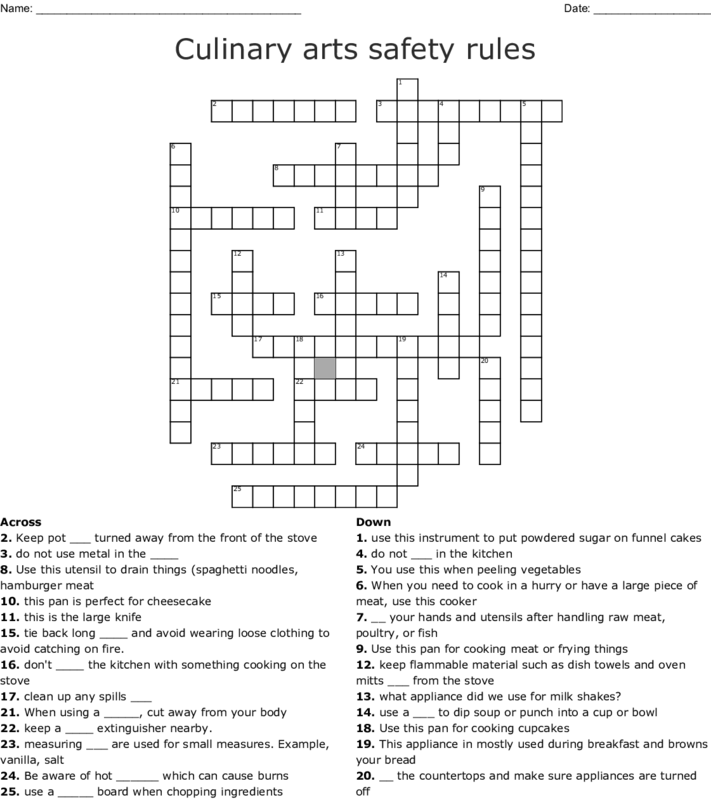 Kitchen Safety-Crossword: Water you doing? Start.